Every Monday evening, between the last Saturday in September and the last Monday in April, you’ll find us in the Scout Hut in Riverside Road, St Albans. We start at 8 p.m. and adjourn to the White Hart Tap at ten. Join us at the beginning of the practice season and you will be dancing like a veteran come the summer. Even if you miss the start of the season, don’t put it off. All you need are comfortable clothes and shoes to dance in. If you’re a musician and would like to play for us, you will be made very welcome. Our musicians learn to dance with us too so that they can understand how best to support the dancers. 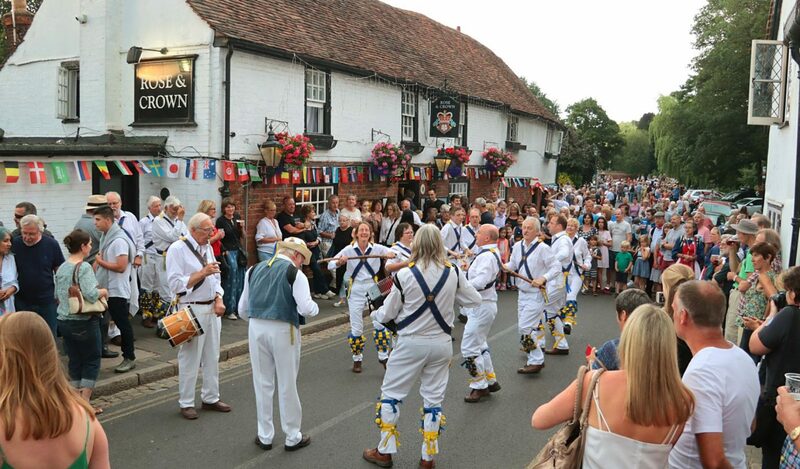 If you’d like to give morris dancing a try, speak to one of our side when we’re dancing out, contact our foreman or join us for one of our Monday night practices.